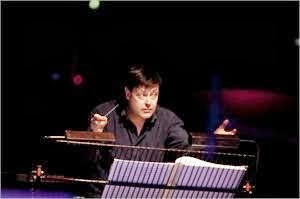 Congratulations to trumpeter, composer, conductor, the indefatigable, admirable Guy Barker, whose MBE for services to Jazz in the 2015 New Years Honours has just been announced. He won the BASCA Gold badge in 2013, is currently in his second year as an Associate Composer of the BBC Concert Orchestra, and is also an Honorary Vice-President of NYJO. Charles Ives for Jazz Orchestra? Hmmm,..it certainly sounds an interesting idea,.... The big bands of Ellington, Kenton, Herman and Thornhill all visited the themes of Tchaikovsky, Wagner and Rimsky-Korsakov. In addition, Gil Evans adapted everything from DeFalla, Rodrigo to Gershwin for Miles, as well as Oliver Nelson arranging an entire LP of Prokoviev's Peter and the Wolf for organist, Jimmy Smith and big band - of all things. 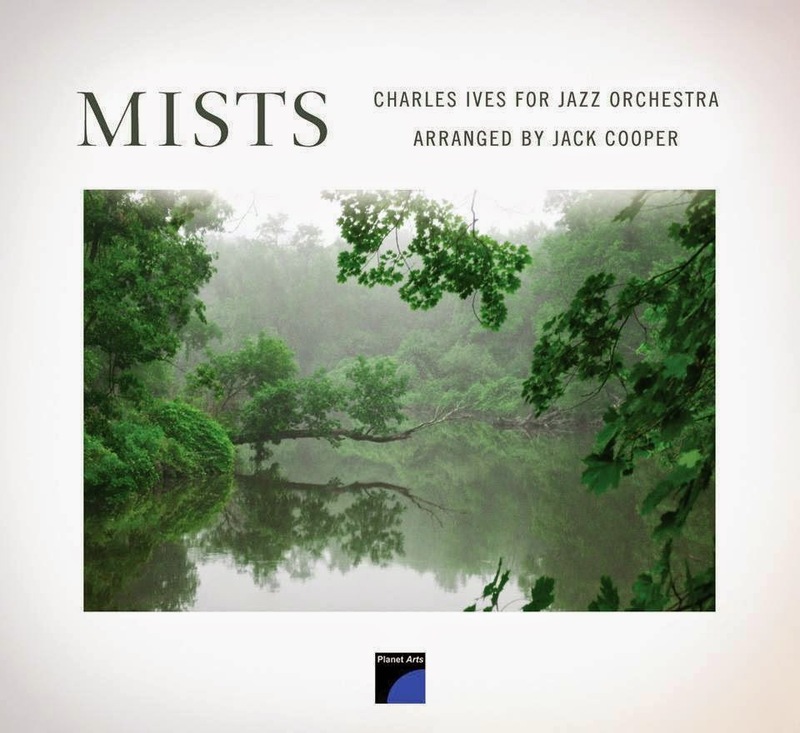 Nothing new in principle, but arranger and bandleader Jack Cooper's treatments of Charles Ives art songs are unique in this canon as they convert so well to instrumental vehicles for improvisation and cohesive ensemble fare. From the time that he was a child in California, listening to his mother, a pianist accompanying singers performing Ives vocal works, Jack Cooper , now in his early fifties, has been fascinated by this repertoire. He went on to performing Ives at music school. He then studied with the legendary arranger, Manny Albam in NYC who was very encouraging in Jack's pursuit of the Ives jazz orchestra project. Recorded by a A-List NYC band which includes many stalwarts of the Vanguard Jazz Orchestra like saxists, Billy Drewes, trumpeters, Nick Marchione and Scott Wendholt, trombonists, John Mosca, Doug Purviance and Luis Bonilla who also produced the date. Cooper has effectively woven these early 20th Century Ivesian themes in very contemporary sounding excursions of creativity. Top solos abound from the likes of Billy Drewes and Ivan Renta on saxophone, trumpeter Jim Seeley, pianist, Randy Ingram as well as veteran VJO lead trombonist, John Mosca. Arnold Schoenberg wrote the following in a note discovered posthumously: "There is a man living in this country- a composer. He has solved the problem of how to preserve one's self and to learn- his name is Ives"
I would also add that there is another man, who grew up just a few miles to the east of where Schoenberg made his home in California, who continues to learn and solve the unanswered question and his name is Cooper. Well done, Jack, as "Mists" will attest. Our review of the Prom with complete set lists and personnel lists. Alison Bentley's CD review of Purcell improvisations from April is a surprising entry. Wolfgang Muthspiel, whom we interviewed later in the year, and Gianluigi Trovesi were guests on the CD. This was our piece from July with the news that the Arts Council had withdrawn Jazz Services' National Portfolio status. Luke Davidson's review of the first Loose Tubes gig in 19 years was the first out; he filed it within a couple of hours of the last chord. This interview was done just as Elliot Galvin was about to go on stage and do battle for Trinity Laban's Gold Medal, and to win it. HAROLD MABERN, the legendary pianist born in Memphis in 1936, makes a rare appearance in London, on January 21st at Ronnie Scott's, with his regular trio. Above he plays his own classic tune Edward Lee (Lee Morgan's first and middle names), from the 2003 album "Don't Know Why" . It has many of the hallmarks of his very individual style of playing. London Jazz News: Who's in the trio you're bringing to London? Harold Mabern: I'm not bringing them, it's the drummer Joe Farnsworth's Trio, he's bringing me (laughs) and John Webber. I've been playing with these two men for the last 20 years off and on. LJN: One biography says you were you a drummer before you were a pianist. Is that right? LJN: So how old were you when you started the piano? HM: I was fifteen-and -a-half nearly sixteen years old. I'm a self-taught piano player, I didn't take music. LJN: Your touch on the piano is like no one else's. LJN: And you knew Ahmad Jamal, right? HM: When I moved to Chicago in 1954, that's when I met Mr Jamal. LJN: And he's a generous man? HM: Yes he's very generous, very kind, but he doesnt go out and pick up anybody. You've got to earn his respect, his attention. I'm still trying to do that, earn attention through my music He and Phineas Newborn are my two favourite piano players of all time. LJN: And you worked with Wes Montgomery? LJN: When you look back, was that something special? HM: Yes it was special, because he heard something that he liked in my playing. You've got a lot of piano players in New York City. That was a compliment to me, for me. Plus it was very challenging to play with him, he didn't read music, he would play songs in any key, and I would have to try to match what he was doing. HM: .... Dakota Staton, Gloria Williams Etta James, Ernestine Anderson Joe Williams. I was blessesd to be have played with all those wonderful singers . You have to learn how to be a great jazz pianist, you have play in many different styles. 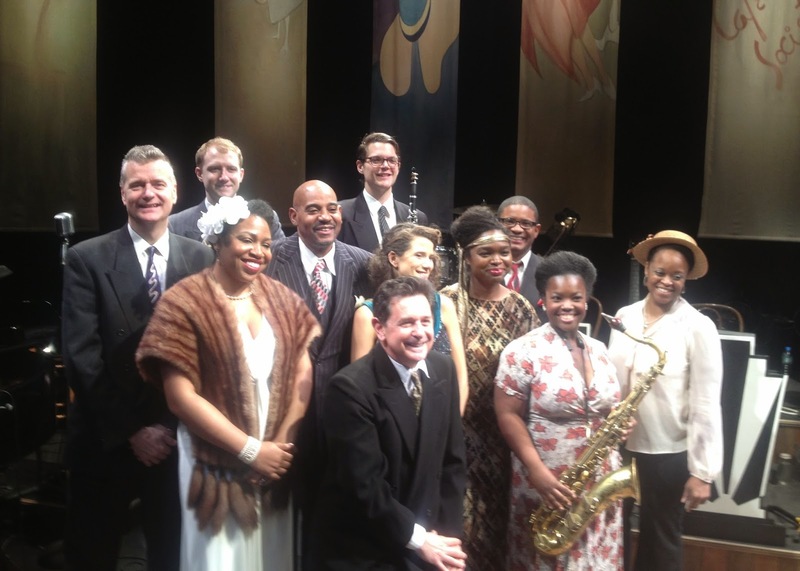 It was all at Birdland, it was with John Cltrane and people. LJN: Harry Edison was someone who brought you on? HM: I got the gig with Harry Edison the very first night in New York City, November 21st 1959. . I saw Cannonball Adderley in front of Birdland and he asked me if I wanted a gig. I said “sure” and hhe took me downstairs. The place was packed, nothing but piano players there. Bobby Timmons, Cedar Walton, Red Garland, Wynton Kelly Sonny Clark. Tommy Flanagan was playing with Harry Sweet Edison but he was getting ready to leave. Cannonball introduced me to Harry Sweets Edison and he asked me if I wanted to sit in. He didn't even ask me what I knew, he just called a tune. The song was “Getting to be a habit with you.” I sat in and I played it. I fumbled around the first time. Second time he hired me on the spot. That was my first night in New York City. LJN: Do you ever go back and listen to your records? HM: Very rarely. You hear so much when you're recording. Then you get the test pressing just before the record comes out. So by the time the record comes out you've heard it. You're ready to move on and do something else. Because you realise you could have done better, so you're ready to do the next one because you're re trying to redeem yourself. I listen to bits and pieces. I've got ten records right now that I've been on and not listened to. I guess it's like that with most musicians. LJN: For people who don't know your playing what should they listen to, or what records are important to you? HM: I would say the record I did with Hubert Laws and Lee Morgan with Buster Williams and Idris Muhammad called Greasy Kid Stuff. And the first record I did, I did it with George Coleman A Few Miles to Memphis with Bill Lee and Walter Perkins those two are very important to me. There are other records that are important to me as well. The records I did with Eric Alexander , I enjoyed those records. But I mainly when I'm at home I'm listening to other things: contemporary pop, R & B. Stevie Wonder, Shania Twain, country and western music singer. She's blessed to have a beautiful voice. And Sinatra - when I moved to Chicago being around Spike Lee's father Bill Leewe used to listen to a lot to Frank Sinatra. I like to listen to orchestrations with singers. HM: I love it because Joe Farnsworth is probably the best drummer playing jazz. I love those guys we have a great rapport He was one of my students at William Patterson College even though I didn't teach him in the ensembles, but he was there - with Eric Alexander. He's on top of his game. He understands the whole philosophy of the drums because he studied with two great teachers, Art Taylor and Alan Dawson. Alan Dawson taught everyone Tony Williams, Terri Lyne Carrington, Jeff Tain Watts – all those great drummers studied with Alan Dawson at Berklee . I don't have to rehearse with those guys. I just play and they know what to do. LJN: And you have a good fan base in Japan? HM: I went for eight days back in September, with a drummer who had worked with Hank Jones for two years, Lee Pearson and a bassist who's studied at Julliard, Russell Hall. Everywhere we went it was a sell-out. HM: The last time was about 2 ½ yrs ago with Vincent Herring, Eric Alexander and Joris Dudli, we played one night at Ronnie Scott's. LJN: And do you have particular memories of London? Front row (L-R) Evan Pappas, Camille Thurman, Luciana Padmore. LINKS: The show was premiered at the 2011 London Jazz Festival. Alex Webb previewed its 2012 performances in Kilburn, which we also REVIEWED. We interviewed Gareth Snook, the actor playing Barney Josephson in the June 2013 performances. With an outfit billed as 'legendary' you usually know what you're going to get, but with Amsterdam's ICP Orchestra, happily, you never do. At the Vortex, a one night stand on their short European tour, the nine-piece band made sure there wasn't the slightest hope of second-guessing them. With their lightning changes of style and pace, their leaps from tightly scored section work to free-wheeling improvisation, the nine band members routed razor-sharp messages back and forth, kept each other on the tips of their toes for two scintillating sets, and had a great deal of fun in the process. Bassist Ernst Glerum, MC for the night, reflected on the difference between this visit and the historic five-night residency at the Vortex almost two years ago (reviewed HERE as part of Evan Parker's Might I Suggest Festival) when the co-founder of this pivotal Dutch co-operative, Misha Mengelberg, memorably made what would be his last touring appearances. 'He stays at home, we play his music!' Maintaining the link back to the ICP's roots was the substantial presence of Han Bennink, his sidekick from the start back in the 60s, motoring in his inimitable, yet utterly focussed style from behind the drum kit. Structured anarchy of the highest order was the name of the game. Romping through some of Mengelberg's complex, unpredictable compositions, seriously putting themselves to the test, they exuded the wildly independent, yet disciplined spirit with which he imbued everything he put his mind to. They dipped in to Mengelberg's eight K Stukke, including an homage to Dudu Pukwana from his time in Amsterdam, Kwela P'kwana, in rich, Mingus mode. They stopped off at Liège's Gare Guillemins, hit township rhythms, pausing to remember the early touring travels in vans with Johnny Dyani, Trevor Watts, Evan Parker and John Stevens, and evoked the Ellington brass section with Michael Moore on a breathtakingly evocative Johnny Hodges roll in their lush arrangement of Solitude - swiftly followed by Mengelberg's irreverent dedication to Cecil Taylor, The Laughing Dwarf, with a roaring, jumping sax solo by Toby Delius. The ICP's latest compositions completed the mix, drawing on repertoire featured on their new CD, East of the Sun, which, incidentally, captures perfectly the subtle spirit of their live interactions. The individual inputs and small groupings were matchless and magical. Violinist Mary Oliver, cellist Tristan Honsinger and Glerum briefly regrouped as an unconventional, near-classical string trio, and Oliver broke out to employ conduction techniques, with clarinets and saxes on instant response to her facial expressions and lively arm and finger signals. Ab Baars and Thomas Heberer shone with masterly assurance and trombonist Wolter Wierbos and drummer Bennink each briefly put the Vortex building's structural column to good use, to wittily extend their range of instrumental timbres. 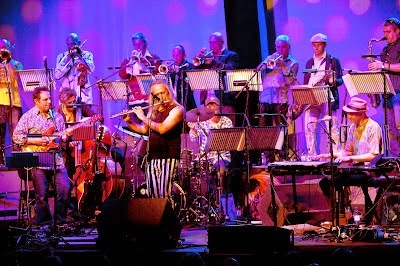 Arguably the final major gig of the London year, and a contender for 'best of', the ICP Orchestra showed that they have not only kept its anarcho-improv swing spirit well and truly on track, they have built on it and given it an irrepressible and irresistible momentum on which Mengelberg would undoubtedly stamp his smiling, mischievous approval. One of the great and most influential exponents of the clarinet in jazz, Buddy DeFranco, died in Panama City in Florida on Wednesday, Christmas Eve, at the age of 91. He made great recordings with Art Tatum, Sonny Clark and Oscar Peterson, ran the Glenn Miller band from 1966-1974, won twenty Downbeat awards, was enrolled as an NEA Jazz Master in 2006. LINKS: Howard Reich's report in the Chicago Tribune. John Gripton's two decades of presenting jazz at JAGZ by the station at Ascot - the name is based on his initials - and in animating and encouraging the local scene, came to an end on December 21st 2014 at lunchtime with the final edition there of the John Critchinson Christmas Party. The band, with John Gripton, were captured in the photo above. The venue is now under new ownership, but the jazz scene in the Thames Valley does not stand still: the gigs promoted by Marianne Windham at both Guildford Jazz and Fleet Jazz keep the flame alive, as do Nigel Dacombe and Steve Wellings with gigs in Reading, plus a gig a month at South Hill Park in Bracknell. Any more? Nevertheless, John Gripton, who is moving to Lymington, has made a huge contribution to the scene with the club, and also with the JAGZ label which issued a much-praised recording of a date at the club by local resident, drummer Allan Ganley (1931-2008), in 2001. 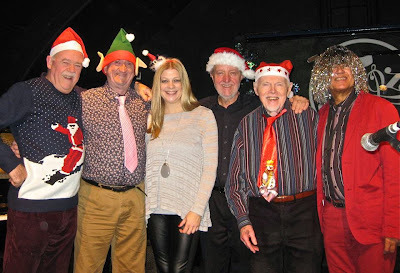 The gig on the last Sunday before Christmas had traditionally been Allan Ganley's, but was passed on to John Critchinson after he passed away. He played his last ever gig at JAGZ with Jacqui Hicks, John Critchinson and Dave Green.The links go on.... Allan Ganley's widow was there for the final celebration of the club last Sunday. 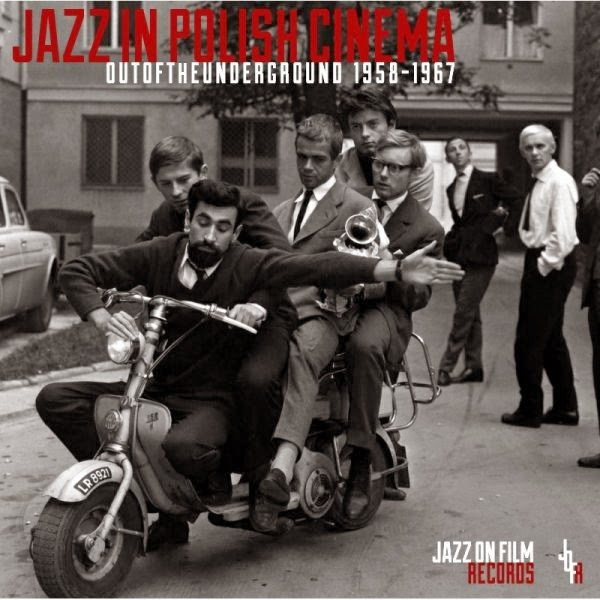 Arriving serendipitously hot on the heels of the Jazz in Polish Cinema CD Set (reviewed here), this very welcome vinyl compilation focuses on the work of Krzysztof Komeda, the charismatic medic-turned-musician who defied Stalin’s ban on jazz in 1950s Poland. It’s the second release from Adventure in Sound, a new label which — at the risk of some synecdochic confusion — features a very pretty label and is the brainchild of Jonny Trunk, perhaps the UK’s leading specialist in reviving lost music of all genres. 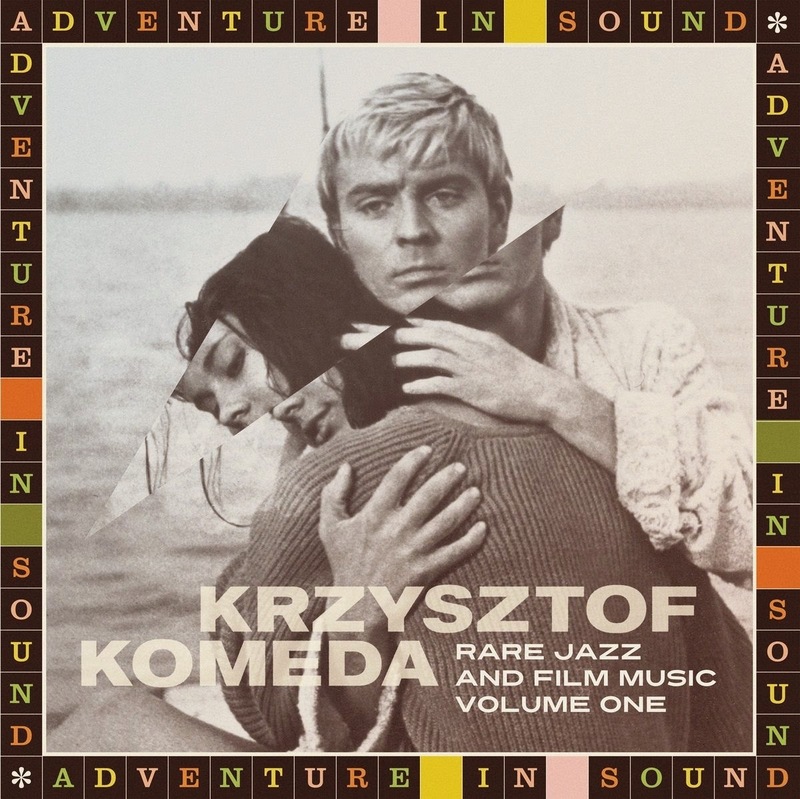 This is a ‘split’ LP with side one featuring music used in the soundtrack of Roman Polanski’s breakthrough feature film Knife in the Water (1962), while side 2 consists of trio recordings (and one quartet track) from Komeda’s appearances at the ‘Jamboree’ jazz festivals in Warsaw. This pressing boasts clean transfers and superb, wide-screen sound. Typish Jazz is breezy hard bop with Bernt Rosengren’s warm and wide open tenor sax leading the way, bouncing on the solid, strutting strum of Roman Dylag’s bass. There’s a sense of smoothly headlong forward motion, dancing across waves like a fast moving boat, which is highly appropriate to the subject matter of Polanski’s film. The Swedish Rosengren is a strong, dominating and highly musical player who would go on to work with George Russell and Don Cherry. Here he wraps things up with a rich, ornate flourish from his tenor. 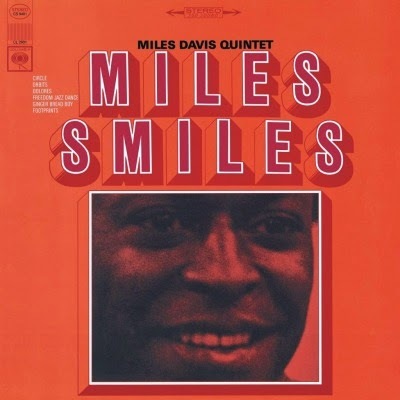 The jaunty nautical feel continues with Crazy Girl which conjures visions of the original cover of Miles Ahead, the one from the period when Columbia thought they could get away with sticking a picture of a white chick on a sailboat on a Miles Davis album. On Ballad for Bernt the deck still seems to be shifting and see-sawing, in almost drunken motion with the exquisite, lazy lilting of the eponymous Rosengren’s tenor. By contrast, it’s all business for Cherry which has a bustling, urban, nocturnal mood. Roman Dylag’s bass is here at its most headlong and potent, propelling the combo. Taking over on bass, Jacek Ostaszewski from the Andrzej Trzaskowski Quintet is the thumping heartbeat of Roman II, a careening piece in which Komeda maintains a relentless pulse with his left hand while extending a wild excursion with his right. Then it’s back to the left hand as he rolls out thundering chords which are echoed by and expounded into a sharp, chiselling, incisive solo from Michal Urbaniak, another Trzaskowski veteran, replacing Rosengren on tenor. (For more on the music of Andrzej Trzaskowski see the aforementioned Jazz in Polish Cinema set.) Tomasz Stanko responds with a distant, ecstatic cry on trumpet and then moves in close to provide his own version of the theme before unfurling into a solo which goes every way at once. The trio (and quartet) side of the record provides the opportunity for a closer inspection of Komeda’s music in a stripped down setting and playing on some standards. Stella By Starlight features an elastic stretching of time and succeeds as beautiful chamber jazz. The received wisdom is that Komeda’s importance is as a composer and he’s not to be so highly regarded as a player. This point of view is hard to sustain while listening to Moja Ballada which reveals the considered beauty of his Bill Evans style piano. On another standard, Get Out of Town, Adam Skorupka plays bass with a facility which suggests he might well be a disciple of Jimmy Blanton, and demonstrates how the instrument can be subtly expressive as well as propulsive, almost vocalising the theme — as does Komeda’s insistent, jostling piano. 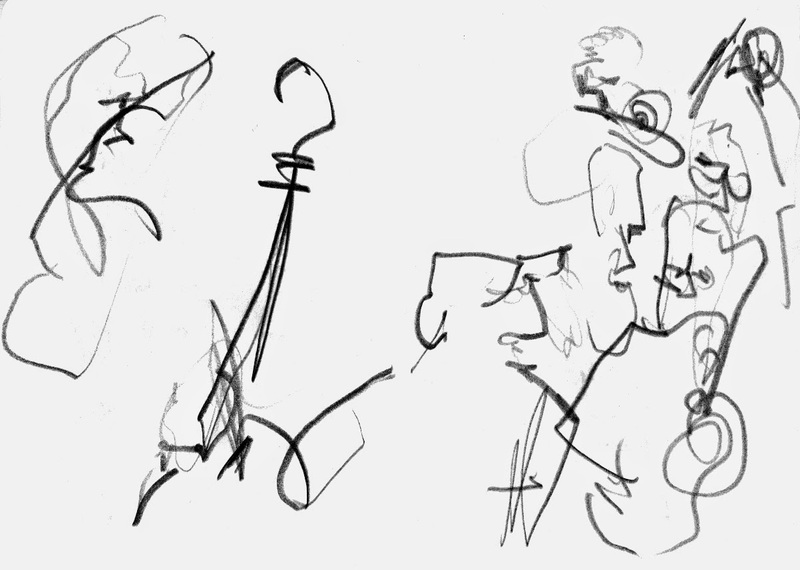 Andrzej Zielinski’s use of brushes on the drums are also a highlight. Komeda rolls us towards silence with his final dark and melancholy chords. It’s definitely time to get out of town. The recent spate of Krzysztof Komeda releases only add further poignancy to the fact of his early death, revealing as they do the extent of his talent. Rare Jazz and Film Music Volume One is a particularly welcome entry, providing a chance to get to grips with his music on vinyl — and in an edition of only 500 copies, so anyone interested should act quickly. It’s with excitement and anticipation that Komeda enthusiasts will read the fine print in the title of this collection — Volume One… Roll on Volume Two. This concert led by German pianist Pablo Held was part of the “Rising Stars” series co-ordinated by the European Concert Hall Organisation. Held was given the opportunity to invite a guest, and the American guitarist John Scofield (who had never heard of the young piano player before) agreed to participate on the recommendation of his trusted drummer Bill Stewart. The performance took place at the Kölner Philharmonie in January 2014. After the tentative beginning of Held’s composition Cameo, it quickly becomes obvious that this gig has more substance than an impromptu “festival set”. Held says, “You could have expected that such a famous player would be taking a look at the notes for the first time at the rehearsal” but Scofield was enthusiastic about playing with the trio and “had already intensively worked on our pieces”. The principals show real understanding and compatibility, and sparks fly during their opening solos. Reciprocating Scofield’s preparation and attention to detail, the young trio does well with the guitarist’s sometimes tricky music. Held explains that Scofield “continually sent us letters with notes for pieces of his that we wanted to play”. The gentleness of Kubrick segues with a bass riff into the harsher line of Camp Out, which – coincidentally or not – has a head that recalls the old novelty song “Hello Muddah, Hello Fadduh (A Letter from Camp)”. In the middle of this lengthy piece, a bowed section by bassist Robert Landfermann leads to a daring, exploratory episode with Held and drummer Jonas Burgwinkel that is completely unexpected. Scofield’s assertion that “They’ve developed a very free approach, and as a unit they can intuitively move quickly to different musical areas” is clearly demonstrated here. Imaginary Time is a typical Scofield melody, and Held says of its creator, “his playing is so alive. Every note sounds different”. 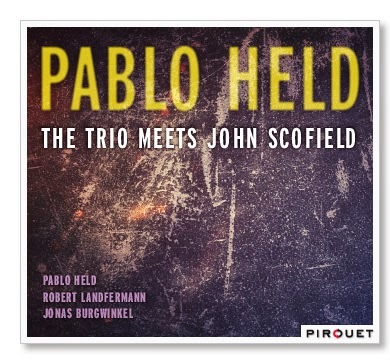 None of the members of the German trio was born when Scofield first came to prominence in the late 70s, yet they sound confident and inspired in the company of greatness. Some of the material on the CD is not instantly attractive, and there are minor misfires during Nocturne and the closer, Joni Mitchell’s Marcie. But it is the kind of music that gains appeal through familiarity, and one hopes that the reunion that Held and Scofield wish for will come to fruition in the near future. 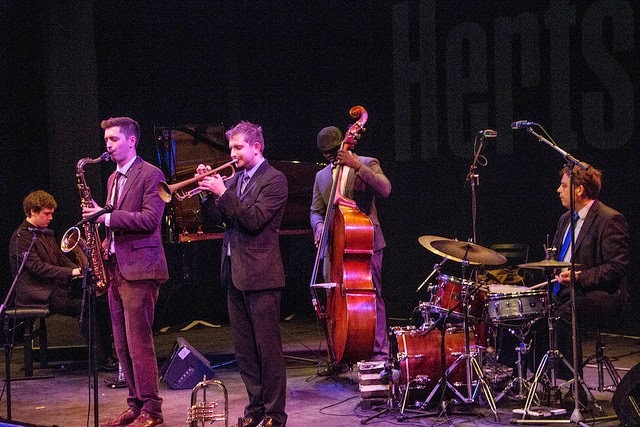 Although close harmony singing at its best can hardly avoid jazz-type chordal structures and progressions, there is only one act this year that takes an out-and-out jazz approach, and that is a young international six-piece combo called Accent. The group models itself on the legendary Take 6, whose eponymous 1988 debut album was so startlingly accomplished and, well, different, that it won two Grammys. You could accuse Accent of simply copping Take 6’s bag – until you realize how young they all are. It would be like blaming the Beach Boys for taking their cue from The Four Freshmen. So you forgive them, because 27 years have passed, and they weren’t even born when Take 6 burst on to the scene. The extraordinary thing about Accent is not so much that they come from five different countries, but that the London gigs will mark only the second time they have ever met in person. Modern technology is what has made it possible to call Accent a band at all: Danny Fong and Andrew Kesler from Canada, James Rose from England, Simon Åkesson from Sweden, Jean-Baptiste Craipeau from France and Evan Sanders from the USA got it together online. How do you rehearse and record at the moment - by conference call? Pianist Keith Jarrett found fame early in life, initially with Charles Lloyd in the mid-60s. 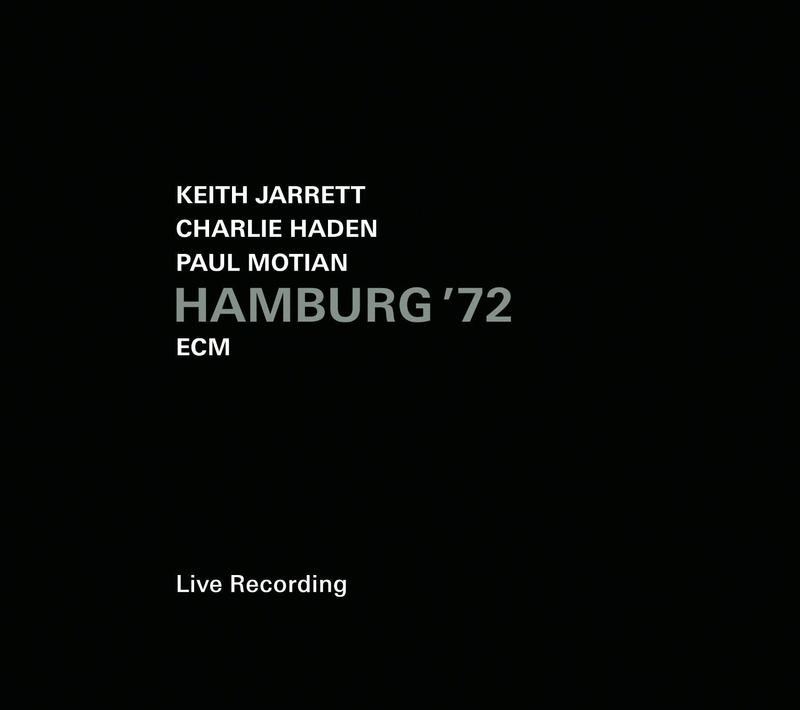 When this concert was taped at the NDR Funkhaus in Hamburg on 14th June 1972, his trio with bass player Charlie Haden and drummer Paul Motian had existed for six years, recorded three albums for Atlantic Records, and was already at a creative peak. Jarrett was still only 27 years old. After a hint of “When You Wish upon a Star” during a lyrical, unaccompanied opening, the piano coalesces with splashing cymbals and Rainbow (which is credited to Jarrett’s then-wife, Margot) becomes a lightly swinging and relatively mainstream affair. Haden is only briefly heard, and – until Jarrett’s luminous eruptions at the end of the piece – we only get a taste of the riches in store. The next four selections are by Jarrett. Everything That Lives Laments is notable partly because – in addition to piano - Jarrett plays (frequently over-blown) flute, and Motian shakes bells and chimes. Haden is highlighted before retreating into a group improvisation that is clearly more than a random free-for-all; these men know each other well and really communicate. The tune ends tenderly, with Jarrett back on piano and Motian at the drums. Piece for Ornette bursts with energy and evokes Coleman’s urgent, piano-less style. 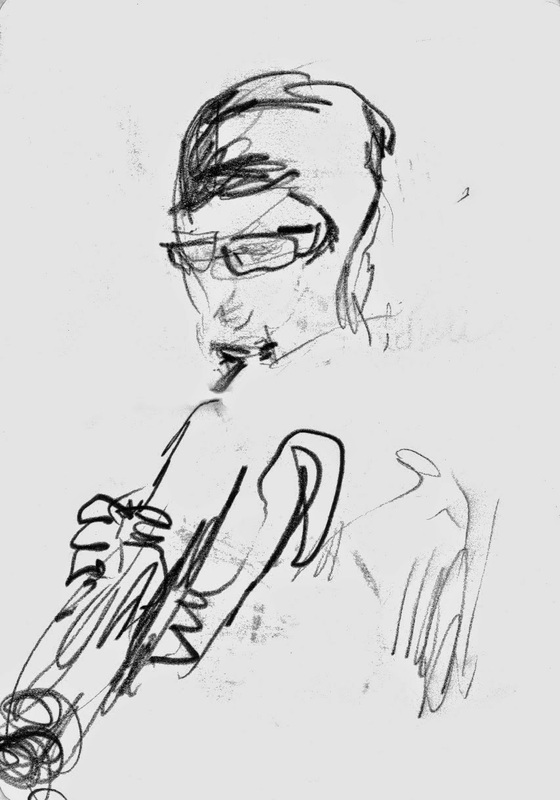 Jarrett uses soprano saxophone with a raw, vocalised timbre. Chattering, shrieking and stuttering with wayward abandon, his dialogue with a highly-charged Motian builds in intensity and becomes a thrilling, passionate exchange. Eventually, Haden steps between them, as if he’s engaging calmness and reason to break up a screaming row. After this, it’s hard to imagine that Jarrett – in little over a decade – would be leading a very different trio with a repertoire concentrating on old jazz standards. Take Me Back is reminiscent of Jarrett’s stunning ECM début (the solo “Facing You”) that came a few months before this concert. A simple, rising piano figure gradually develops into a gospelly, rocking section that is so emotive and life-affirming that you may well jump up from your sofa and yell “oh yeah” at the speakers. Then – several wonderful minutes later - the melody is stated, and you realise that you’ve just been listening to the introduction! This is quintessential Jarrett, and Motian’s unusually hard-hitting approach is absolutely right for this music. Haden’s solo on the rhapsodic and relatively diffuse Life, Dance is barely over when Song for Che begins, and familiar drones and double-stops mingle with allusions to his country roots. Jarrett moves from soprano sax to the piano for a climax that is distinguished by dramatic, hymnal cadences, and Haden ends his iconic composition to an accompaniment of fluttery percussion. The audience goes mad; if they were fortunate enough to get more, we don’t hear it. 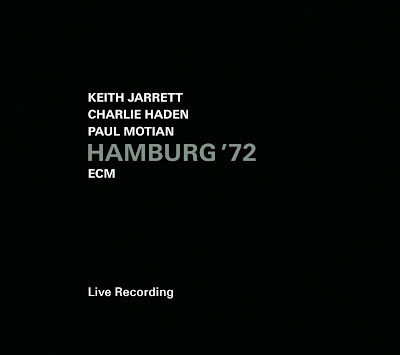 Hamburg ’72 is so good that words are barely sufficient to convey its impact. It contains some of the most exciting jazz you will ever experience, and there is no question about it being one of the records of the year. The small groups co-led by tenor sax player Gianni Basso and trumpeter Oscar Valdambrini were the most celebrated jazz units to emerge from Italy in the late 1950's and early 60's. First rising to prominence in Milan, under the name The Italian Sextet, Basso actually came from Asti (where they make such damn fine wine) while Valdambrini was born in Turin. They played the San Remo and Lyon jazz festivals and distinguished themselves in Armando Trovajoli’s big band before reverting to their own quintet. Working in a West Coast and hard bop idiom they held a long term residence in Milan which was successful enough to attract Verve Records in the USA, who issued a Basso-Valdambrini album in their International Series in 1959. The following year Basso and Valdambrini released a classic album Walking in the Night on RCA Italy. In 1962, operating as a sextet, they won a contest as ‘The Best Modern Jazz in Italy’ and toured the USA and recorded another RCA album under this banner. All these excellent albums went out of print and became collectors items. But in recent years they have resurfaced, first as Japanese reissues, and then in their native Italy. While the back catalogue of Basso-Valdambrini’s most famous titles is now in pretty healthy shape, the Rearward/Schema label (based, appropriately enough, in Milan) has pulled off a real coup by unearthing some extremely rare library recordings by the Quintet. Library music, often performed by top musicians, is an anonymous genre designed to be used, uncredited, by TV and radio programs who don’t want to go to the trouble and expense of commissioning bespoke compositions. The recordings here were first released as two vinyl albums on the Milanese Fonit Cetra label, with generic covers and the inscrutable designations H602 and H603. Their subtitles are more enlightening: Stile: Pop-Jazz and Stile: Californiano (the ‘pop jazz’ is actually closer to a soul jazz feel). 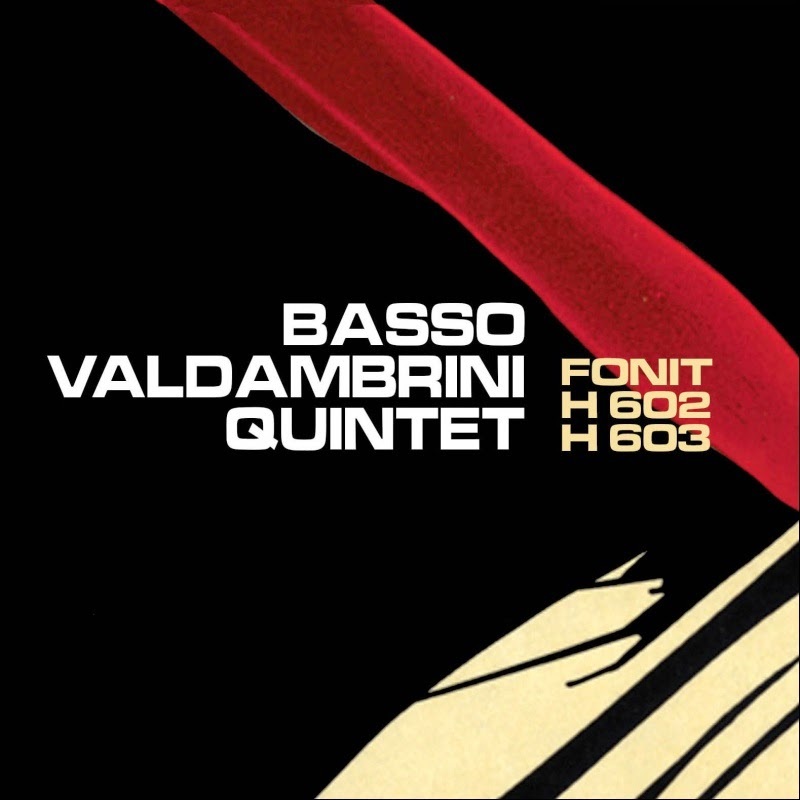 Recorded in 1970, these sessions are reportedly the last performances of the Basso-Valdambrini Quintet. They are certainly the rarest. What is most striking about this music is the spirit with which Basso and Valdambrini and their rhythm section approach the project. These anonymous recordings — never, as far as they knew, destined to be linked with their names — are performed with as much conviction as anything they ever did. In fact, they play their hearts out. Plinius is reminiscent of Oliver Nelson’s classic The Blues and the Abstract Truth in the horn arrangements and the general balance of the instruments; it’s a tight knit blues vehicle with a driving, rolling beat. Subtle and deceptively complex drum patterns come courtesy of Lionello Bionda while Basso’s sax offers a taut commentary with Valdambrini shadowing him like a Siamese twin. Maglione (‘Sweater’) also evokes Nelson’s masterwork, with gorgeous hard edged tenor which hands over to Valambrini’s virile trumpet and skirling scales on the piano from Ettore Righello. The abrupt, instant ending is audacious and breathtaking. Invertime pays homage to vintage Miles Davis in Valdambrini’s trumpet approach while on the free jazz outing El Gato (‘The Cat’), Basso conjures the spirit of Coltrane. In the Stile: Californiano sessions, Gold Mine has a jaunty but laidback Jazz at the Lighthouse atmosphere, a mood which continues with Glaucus in its Chet Baker feel and E’ Molto Facile (‘And Very Easy’). Pick Up provides a bright barrage of trumpet, skipping piano and a Dizzy Gillespie rhythmic riffing. On The Jolly Basso’s tenor is darkly emphatic, with a lovely burnished, glowing tone. Ettore Righello contributes agile, methodical, story-telling piano cushioned by Giorgio Azzolini’s bass until unison sax and trumpet take over, waving the banner of the melody. Behind this less than alluring title lies an exciting reissue for fans of Italian jazz. What were once impossibly rare and expensive records are available again in a fine sounding double vinyl set which comes complete with a free CD. Theo Croker's Dvrk Funk. The young American trumpeter and his quintet with Irwin Hall (alto), Kassa Overall (dr), Eric Wheeler (b) and Michael King (p) delivered a tremendous set accompanying the brilliant Dee Dee Bridgewater at Jazz on 3's live EFG London Jazz Festival broadcast at Ronnie's could not fail to impress. More! Barry Green. He recorded not one but two trio albums on a trip to New York earlier in 2014 (one with Chris Cheek and Gerald Cleaver, the other with Drew Gress and Tom Rainey). Fingers crossed 2015 brings the release of the albums and some live performances. 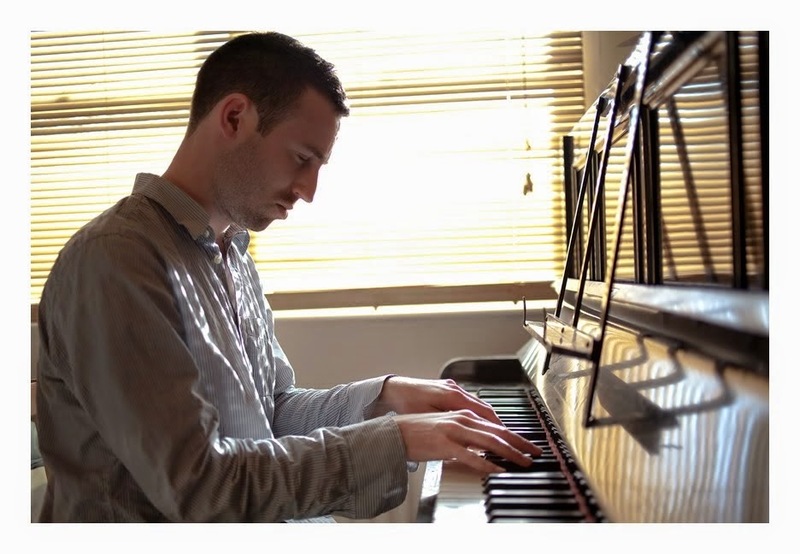 Pianists Frank Harrison and John Turville, who have performed individually with Gilad Atzmon’s and Tommaso Starace’s ensembles, combined their musical talents in a delightful 23 March 2014 two-piano concert during the Pizza Express Steinway Festival. It would be great to hear more from them – and other piano duos – in 2015. Sam Leak is developing a voice as one of the UK’s fine creative jazz pianists – both of his ‘Aquarium’ quartet albums are treasures. The recent debut performance of his progression into big band writing was hailed enthusiastically, and it now feels important that this new suite is recorded and released. James Brandon Lewis..A 32-year old American saxophonist ...he's most definitely got it. Perfect Houseplants (an oft promised return) would be first equal with a gig by Steve Buckley back playing live. Andy Milne played piano for many years with M-Base saxophonist Steve Coleman. Milne’s own band is Dapp Theory. Their new CD Forward in All Directions wraps M-Base nerviness and urban poetry in lyrical gentleness. Some UK gigs would be a treat! 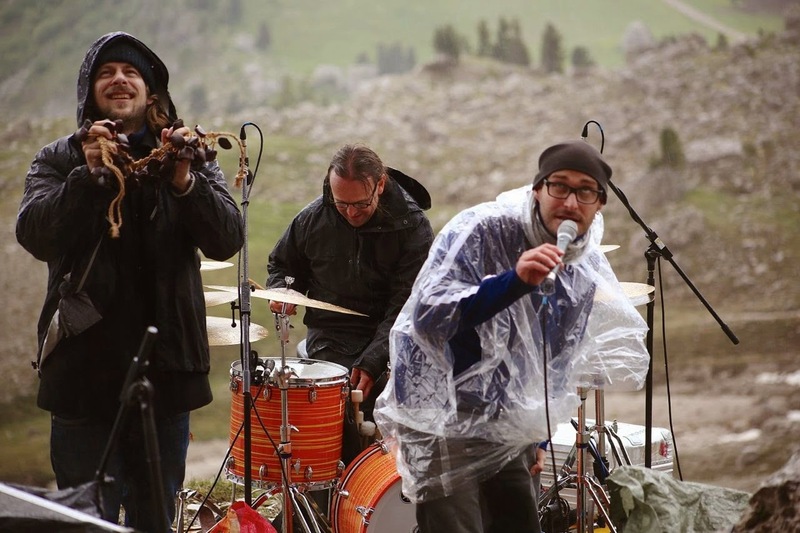 More from Max Luthert, the bassist with Partikel, who released his solo album this year. Bucket list: to see clarinettist Perry Robinson, bass player Richard Davis, trumpeter/saxist Ira Sullivan and piano/vibes player Karl Berger during 2015. Martin Speake and Douglas Finch. I'd like to hear more from this newly-established saxophone and piano duo who create free improvisations live and on CD. Each work is a breathtaking journey, drawing on classical and jazz influences with awesome craftmanship. Helen Sung. The pianist's first album for Concord, Anthem For A New Day was an astonishing calling card for her sheer range of expression. The first impression is one of the velocity of her ideas and fingers, but there's a lot more. I'll be first in the queue for her next album, or, ideally, London gig. Tom Waits: This report of him performing live whets the appetite to hear him in London! Musicians who give away streamed music or CDs for next to nothing aren't helping our case for jazz music to be valued. Perhaps they could consider streaming only one track, not the whole album, and charging a bit more for their music? Edinburgh. My wish for the next year... that Edinburgh's Playtime, a musician-run regular club night that put local musicians on in a variety of line ups and provides space for experimentation and improvisation continues to be able to provide so much entertainment. Oh, and a new midsize venue for Edinburgh would be good! - That the Jazz Promoters' Network can begin to mature into an effective lobbying, and tour organising, presence. Paris. Bring it closer.Twenty years since the birth of the Eurostar made it easier to get to Paris then to Cardiff, I'd love to see further cross-pollination across the channel from the likes of Akalé Wubé, Ping Machine (above) and Surnatural Orchestra (Dan Bergsagel). Venue. I wish that central London had a venue like Brussels’ Music Village: international musicians, modest admission price, 100 seats, appreciative audience, dining optional. - I witnessed Pete Churchill's work with children and young people. It was so unashamedly positive and hopeful, I thought it was so needed at a time when we push cynicism on people from such a young age. He is a musician who demonstrates exactly what jazz educators should be like. - Over the past year Pete has been helping Jon Hendricks to realise a project stalled for 30 years, adapting Gil Evan's band charts from Miles Ahead and travelling to New York to draw lyrics out of Hendricks and to create a vocal version of this classic album, to be performed by us in the London Vocal Project. - Pete has inspired and aided countless young jazz musicians, both in institutions but also by example. His latest project will truly put Britain on the map as a driving force in the world of Jazz. Jamie Cullum. As musician he's put out a fascinating jazz album, Interlude. As an advocate for strength and depth of the UK scene he is the most effective we have, and by a mile. Having just passed 35 he's definitely the youngest on this list. Rachelle Ferrell. I was worried she'd have lost some of her range or power but it was all there and emotionally she held such a deep connection with the audience at Ronnie's. It'll stay in my memory for a long, long time. Tim Garland. Redoubtable British reedsman Tim Garland confirmed his ever-increasing prowess as performer and composer, writing for both quintet (great personnel) and the Royal Northern Sinfonia strings in his excellent 2CD ‘Songs to the North Sky’. Also an important figure in the realisation of Phil Meadows’ recent Engines Orchestra debut release. Hans Hassler, the German classical, folk and jazz accordionist whose latest album “Hassler” has been playing here since the day it arrived. 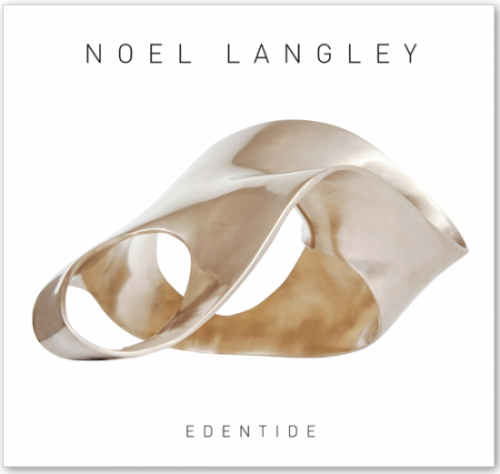 Noel Langley has been on the scene as a trumpeter for a quarter of a century, but this year he emerged from session work and sterling big band duty with his CD Edentide. 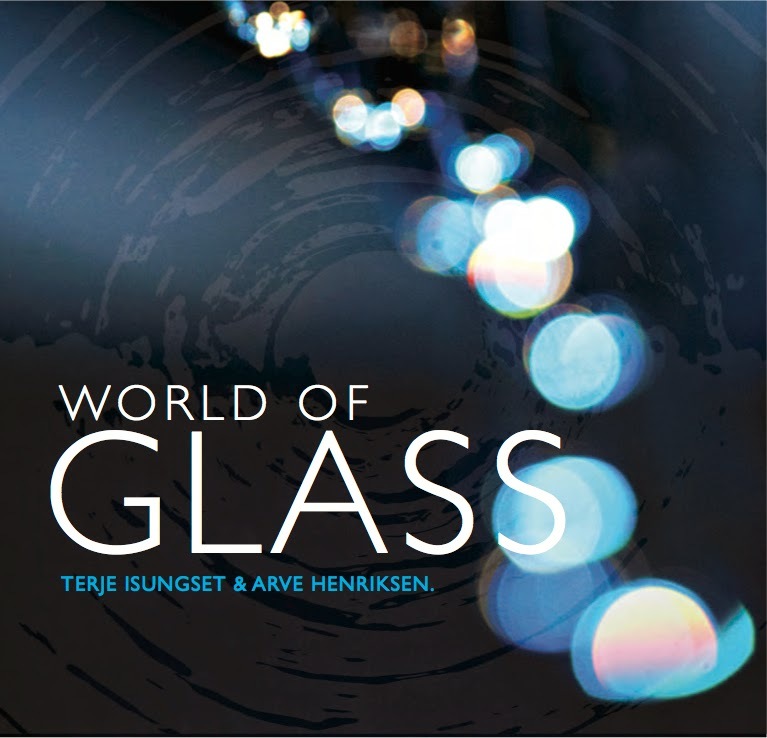 It is a surprising, refreshing mixture of different styles that coalesce into a magnificent whole; a great recording. Simon Purcell. His career as an educator has been parallel to one as a performer, and he has finally released an album, Red Circle, under his own name. Not so much a ‘First timer as an ‘About timer’. Other notable About Timers in 2014 were Alison Rayner, Jake McMurchie and Noel Langley. Quercus (Huw Warren, Iain Ballamy, June Tabor) as a collective who have built upon their 2013 self-titled ECM release. Just beautiful and understated music. Paul Rogers. I've gone for a bass player. Paul Rogers' 7 string acoustic bass playing, especially with Whahay, just pips John Edwards, Barry Guy and Chris Laurence. Ben Sidran....two excellent new records in a row - ever improving with age. Alison Rayner. When you’ve been a highly respected, busy bassist since the 1970s, what do you do next? Now in her 60s, Alison Rayner has just released her first CD (Alison Rayner Quintet, courtesy of a Jazz Services Recording Subsidy) and is nearing the end of a 16-date tour: from funky Guest Stars-style grooves to more introspective compositions. Keith Tippett. The pianist never fails to amaze, technically, imaginatively and conceptually - whether galvanising and steering his young octet through 'The Nine Dances of Partick O'Gonogon', or in non-verbal duet with Julie Tippetts , or razor-sharp with Peter Brötzmann and Steve Noble (as BNT) , riding three-horseman-like into the unpredictable (all seen at Cafe Oto) - he is always a joy to witness. Clark Tracey, Renaissance Man. After a challenging year ending with his father, British piano legend Stan Tracey, passing away in December 2013, drummer Clark Tracey launched an impressive comeback, releasing the debut CD of the current Clark Tracey Quintet, with Harry Bolt (piano); Chris Maddock (sax), Henry Armburg Jennings (trumpet), Dan Casimir (bass)- picture above- and launching a new jazz series at Hemel Hempstead’s Cellar Club, while continuing to lead Herts Jazz Club, and Festival. Mark Turner. The saxophonist released his first album as leader for 13 years in 2014. Lathe of Heaven was certainly worth the wait: Turner created a virtuosic, personal and moving record, a master-class in melody and control. Leo Appleyard. Until a month ago, I hadn't heard of the guitarist . I missed his gig at LJF - it sold out before I thought to grab a ticket - but his CD Pembroke Road was an impressive debut. I hope to catch him next year! Moses Boyd....A wonderful drummer and still only 23. George Crowley. The sax player, through promoting regular gigs in smaller pubs like the Oxford and the Con Cellar Bar, is keeping London's scene fresh and lively. Aaron Diehl. 29 year old pianist Aaron Diehl, at ease across many genres, reflecting his immersion in the traditions of jazz piano from Tatum to John Lewis and beyond. Marko Churnchetz (Črnčec) New York-based Slovenian pianist/keyboardist Marko Churnchetz created a programme of highly-charged jazz fusion pyrotechnics in his 2014 quartet album, ‘Devotion’, duelling pitch-bent synths with saxophonist Mark Shim’s midi controller wizardry. An exceptional, lightning-fast jazz pianist, Churnchetz’s next release is keenly anticipated. Elliot Galvin’s debut album, Dreamland arrived with a clatter to critical acclaim and was quickly followed by the award of Young European Jazz Artist to his trio. Tigran Hamasyan. The pianist's next release Mockroot is his Nonesuch Records label debut (expected early 2015) and the staggered territory release of his previous album "Shadow Theater" somewhat cut into its momentum. So he's slightly under the radar but his upcoming releases and activities should warrant deserved buzz and attention. Laura Jurd. Drawing by Geoff Winston. Laura Jurd, With Huw V Williams 'Hon' quintet at The Salisbury, the trumpeter hugely impressed with her range and depth and the way she confidently paid indirect homage to illustrious antecedents - Chet Baker, Miles, Kenny Wheeler and Wadada - without compromising her own voice and spontaneity. Blending rough, smooth and lyrical with beautiful tones, her assuredness added a special ingredient to the mix. Phil Meadows reached new heights in 2014 with the release of Lifecycles – his vibrant all-encompassing project for full orchestra. As a soloist, composer and educator, Meadows is leading the way for the next generation. Dan Messore - a hugely talented synthesist of contemporary guitar styles, with an keenly awaited second CD on the way for his band Indigo Kid. Their set at Bristol's festival was terrifically good, tantalisingly short. Dan Nicholls. This year North London's Loop collective has continued to push the musical agenda, with Dan Nicholls in particular fulfilling his potential. Whether playing sampled kalimba compositions on Jez Nelson's show, or as part of the riotous Brass Mask or deep grooving Strobes, Nicholls' name on a bill is starting to become synonymous with fresh boundary-pushing music. Vincent Peirani. Jazz accordion? 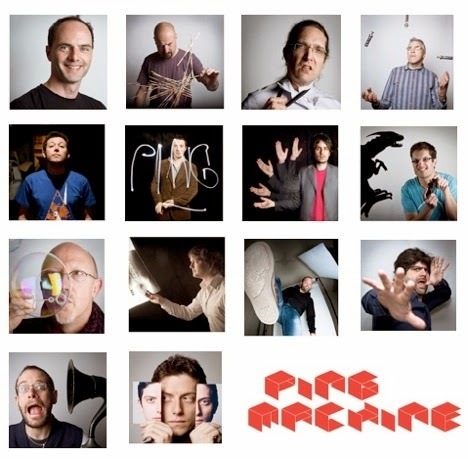 Vincent Peirani has revolutionized its repertoire, mixing Classical influences with swing and free jazz. He tours constantly all over the world, and has won major jazz prizes in his native France. Here’s a wish for him to gig in the UK. Cath Roberts/Dee Byrne for their music - but also for the LUME programme of exciting new music gigs. Lewis Wright. The vibes player (and drummer) attracted attention with Empirical a few years ago, and is now making his mark as a wonderful soloist. He was in devastating form during a late show at Ronnie Scott’s led by Marco Panascia. Cyrille Aimee's London debut as part of the EFG London Jazz Festival. A sold-out Elgar Room and an incredibly high level of musicianship from her and her band. Darcy James Argue's Secret Society in Gent, Belgium on his very brief European trip still stands out months later. His Brooklyn Babylon suite was an hour of brilliantly detailed musical tale-telling - inspired writing; superb orchestral performance. Come back soon! Beats & Pieces Big Band at Millennium Hall Sheffield. A cold, wet night. A sell-out concert to a noticeably younger audience. What could go wrong? Well, absolutely nothing! Ben Cottrell has honed his award-winning ensemble into something special - a range of moods and textures, the mix of old and new original material, great soloists and a 'bone' section that would have Mahler purring! Norwegians Annlaug Børsheim (Hardanger fiddle and guitar) and Rannveig Djønne (melodeons) playing folk music in a stunning location: 1000 feet above Bergen on Mount Fløyen. The Brooklyn Based Jazz Band (sextet led by percussionist Eric Frazier, with pianist Anthony Wonsey, vocalists and a poet) performing at Emmanuel Baptist Church, Brooklyn. Billy Cobham's 70th birthday Q and A at Ronnie's. After a hilarious interview with Guy Barker during which Billy talked candidly about playing with Miles, Herbie and McLaughlin, he got behind the kit to demonstrate some trademark grooves and killer concepts. For once, the cliche 'a humbling experience' was justified! Two celebrations of the music of John Coltrane. - Scottish National Jazz Orchestra had Courtney Pine and Tommy Smith sharing saxophone duties. 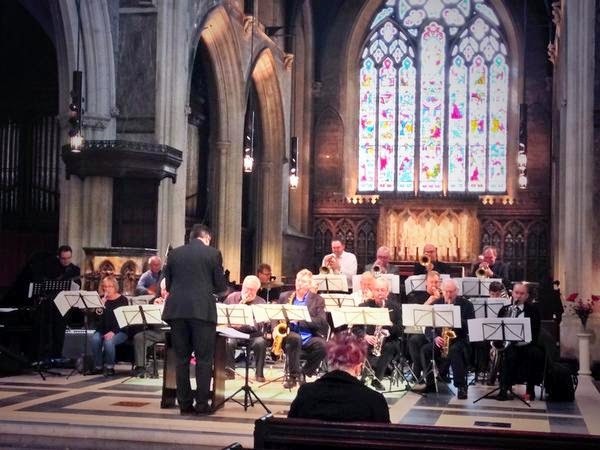 Hearing 'Tranes music powered by a forceful big band for nearly three hours was exhilarating. - Paul Dunmall Quartet played music from Coltrane's "Sun Ship". Powerful and astounding. Calum Gourlay and Friends at The Jazz House. A sign of the (independent music production) times: Packed-to-the-rafters Golders Green Jazz House hosted an intimate live CD recording session featuring bassist Calum Gourlay in solo and duos with friends Michael Chillingworth (alto), Cevanne Horrocks-Hopayian (harp), James Maddren (drums). A CD on Two Rivers Records due in July 2015. Juliet Kelly. The UK singer has a new CD on its way (Spellbound Stories). 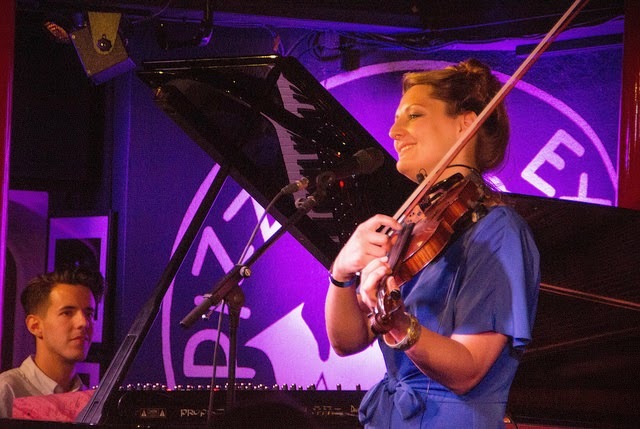 Her gig at Oxford’s Spin Jazz Club in October was part of an Arts Council-funded tour, to air her newly-written songs based on her favourite novels. Her lustrous deep voice and her impeccable jazz phrasing were combined with warmth and humour. Charles Lloyd at the Barbican. A twitch of Charles Lloyd’s leg and the slap of a brush on the snare signalled an acceleration of the groove and Lloyd-ian bluesy growls and whispers deepened the spell the newly endowed NEA Jazz master had cast on the Barbican. A magical end to a mindblowing London Jazz Festival. Rene Marie's July Pizza Express live performance with the Bruce Barth Trio was even more spectacular. My favourite: spine-tingling a cappella rendition of Make Someone Happy. Sun Ra. 2014 marked 100 years since his birth. Well that was his earth birth, which he didn't recognise. You know the way it goes. The highlight of my Jazz year was working with Somethin' Else producer Joby Waldman to get The Arkestra under the direction of 90 year old Marshall Allen in to the studio to record an exclusive session for Jazz On 3. After a twelve hour day most of the band and production staff headed off for some well earned rest. But Marshall, he just wanted to stay and talk about music. The session will be released by Gearbox in 2015. The legend continues. The Saslonch Suite at the South Tirol Festival. Dramatic! On a ridge at 2300m and also up the mountain at 2800 metres, accompanying slack-lining and freestyle climbing on a rock face going up a further 1000 metres. Made all the more dramatic by the wind, and by unpredictable weather. Snarky Puppy midnight gig at Ronnie Scott's on the Monday of the London Jazz Festival - such a great vibe from the group and exemplary playing - they are really tearing things up and their move into the limelight has been well deserved. Soft Machine Legacy. Seeing/meeting those iconic 1970s jazz/rock pioneers of my youth – John Etheridge, John Marshall and Roy Babbington (Soft Machine Legacy) – at Manchester Jazz Festival was a totally captivating hairs-on-the-back-of-the-neck moment, and felt a huge privilege. In their sixties/seventies, they’ve still ‘got it’! The Umbria Jazz Festival in Perugia. Incredible atmosphere, excellent wine and food, and seamless organisation. The Kenny Wheeler Memorial. Nick Smart and Pete Churchill wanted, demanded, and got a burning urgency from the band they were directing. The occasion absolutely required and deserved that. The speeches were full of emotion, especially John Taylor's. A day to be overwhelmed by the incalculable scale of the legacy that Kenny Wheeler has left in every ear and soul. An unknown alto sax player on the beach in Menorca as the the sun was going down.